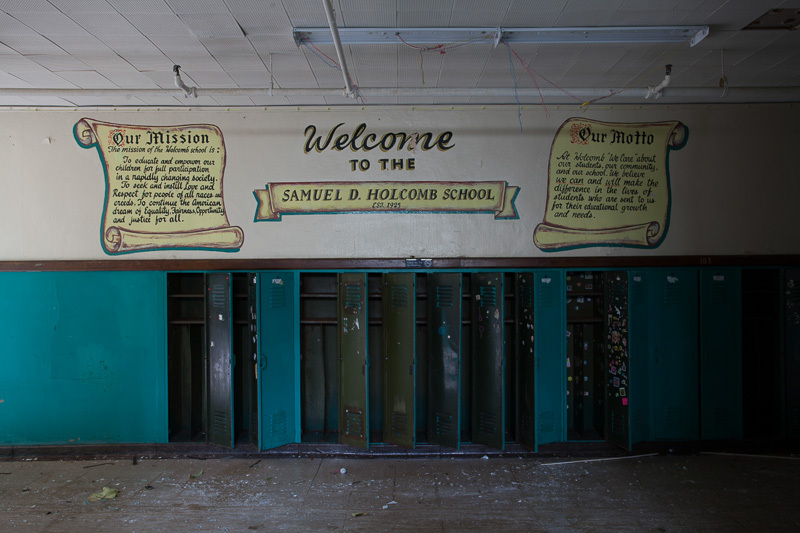 Samuel D. Holcomb School was founded in September 1925 with the construction of a single-story school building. 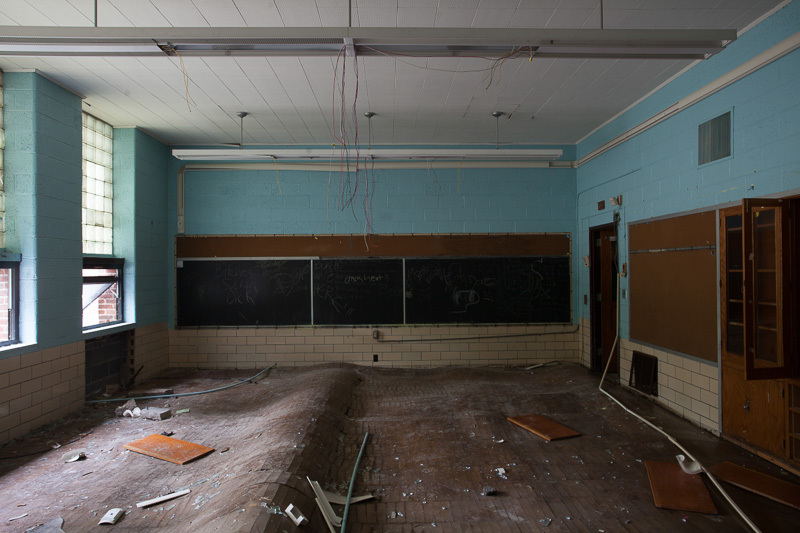 Although many of Redford Union's elementary schools, such as Mettetal, Coffey, and Hubert Schools (all of which were also built in 1925), consisted of smaller buildings constructed in then-remote parts of the township, Holcomb School was located in Redford's commercial and residential center, the village of Redford. 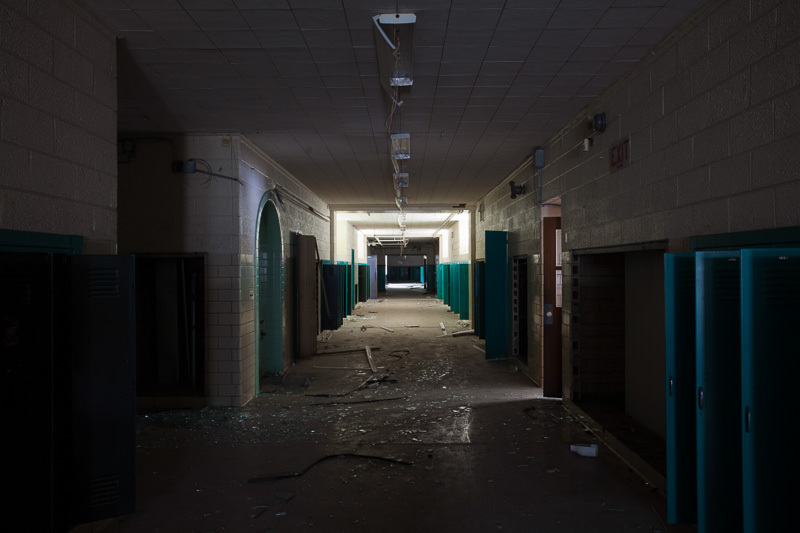 As such, it was designed from the start as a thirteen-room school building -- larger than a typical township school, though still not approaching the size of most Detroit schools of the time. 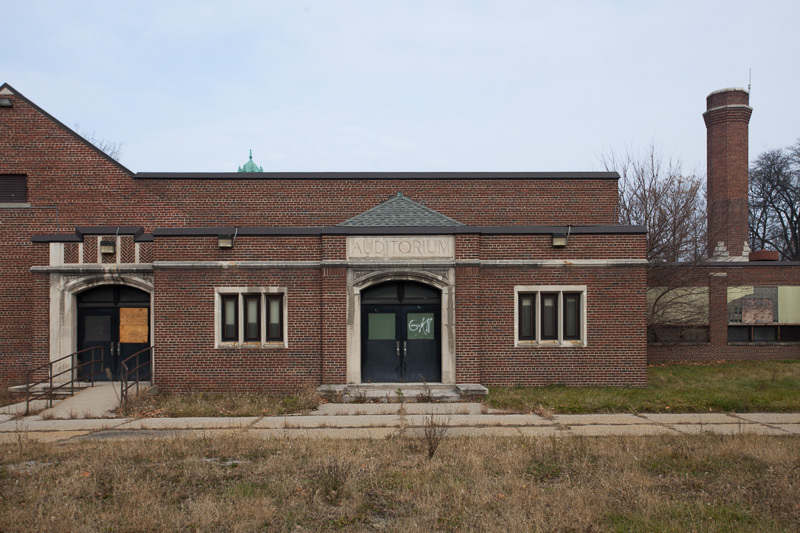 It was originally established to serve District #1 of Redford Union Schools, but was absorbed by the school system of the rapidly growing City of Detroit prior to the start of the 1926-1927 school year. 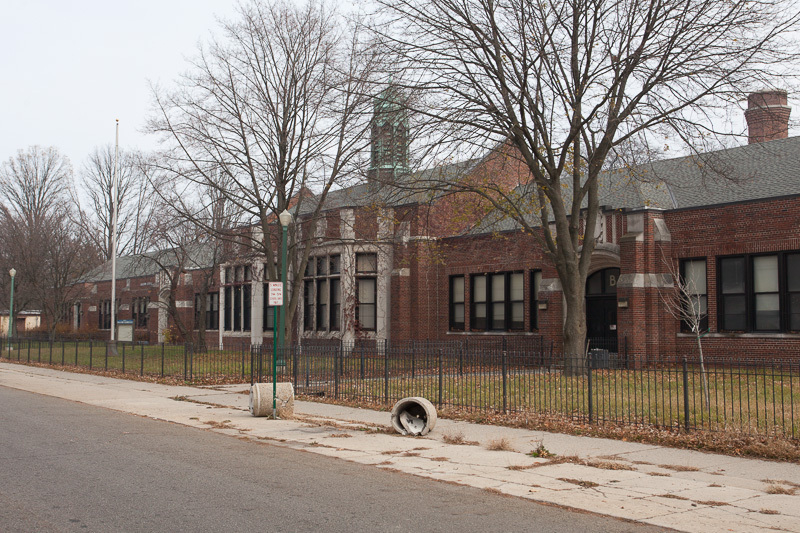 Holcomb School originally served an area bounded by McNichols, Grand River, Berg, Seven Mile, and Evergreen Roads. 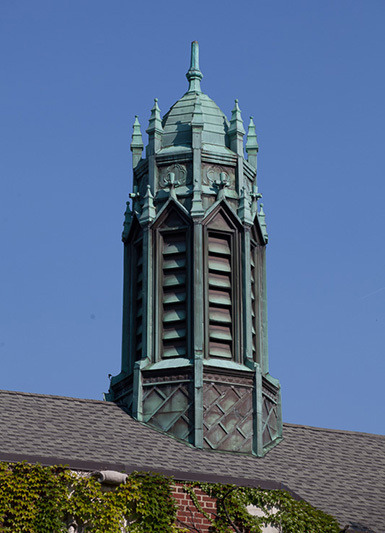 It was named in honor of a physician and longtime resident of Redford. 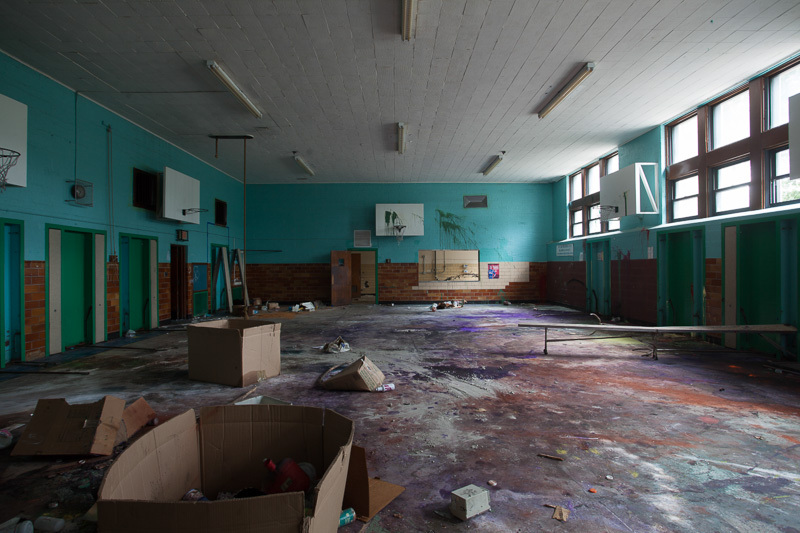 A library and kindergarten were included in this initial unit; vocational and "Domestic Arts" courses for residents of the surrounding area were provided in a temporary structure located on the site. 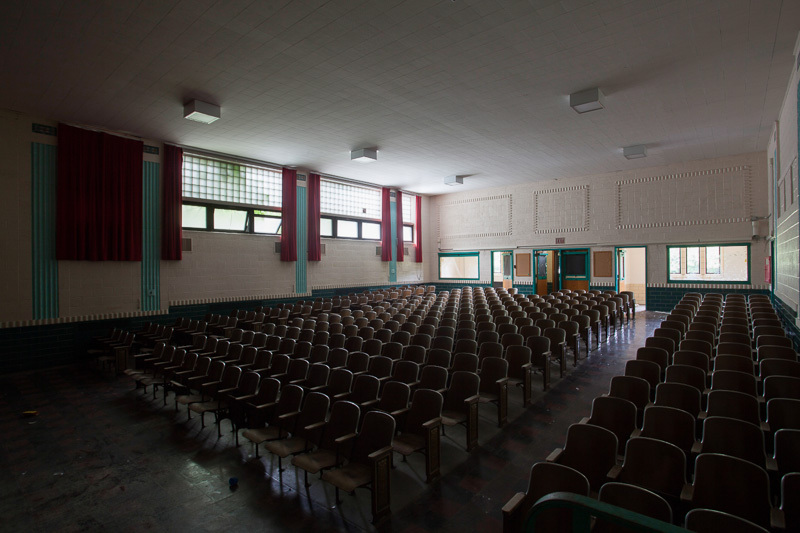 As the area's population continued to grow, a second unit, featuring six additional classrooms, a lunchroom, and a gymnasium, was added in April 1929, allowing the capacity of the school to exceed one thousand students. 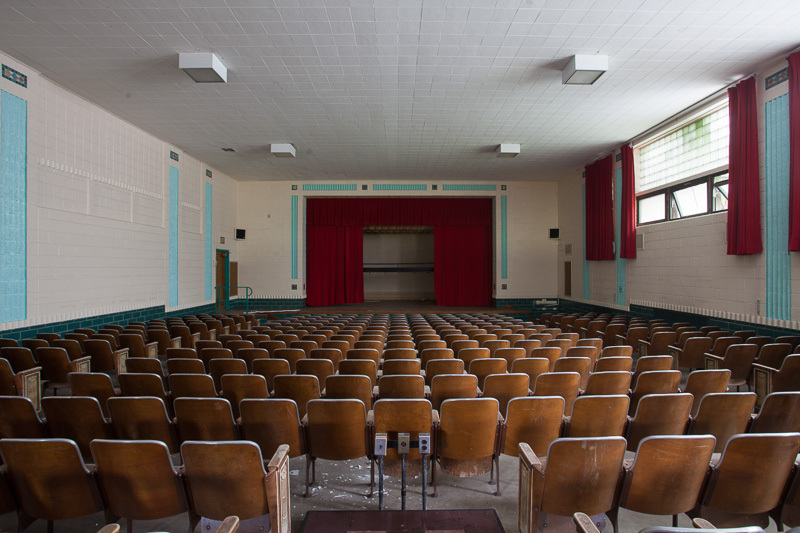 This was quickly followed by another temporary classroom building, though economic conditions delayed the erection of a permanent addition to the building until 1946, when a third unit added five additional classrooms, an auditorium, a shop, and more restrooms, at a cost of $442,335. 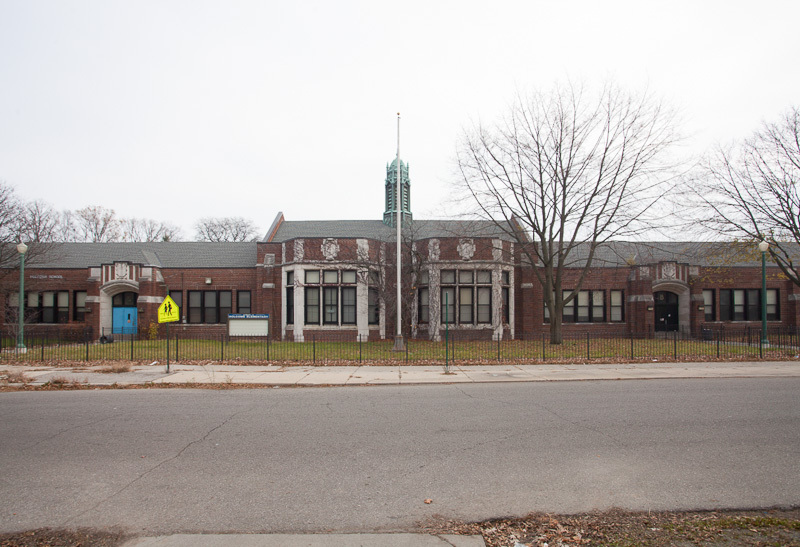 Although the original architect of Holcomb School is not known, the township school districts acted independently in their hiring of architects, adding more variety to the Detroit system once annexed. 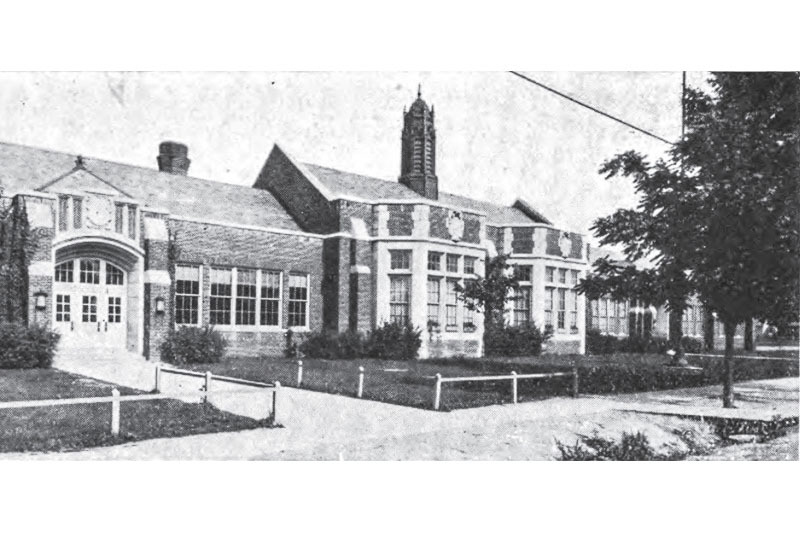 This attractive, single-story building came to be known for its pleasant setting, and a 1938 account of the site describes “flowers, garden paths, and a miniature pool... the advantages of the country woodside brought to [a] city school doorstep". 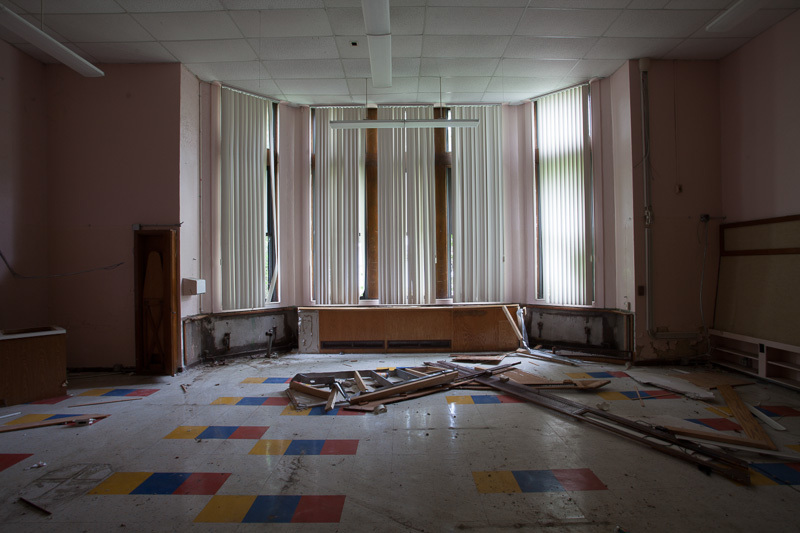 Holcomb closed in 2010 due to declining enrollment. 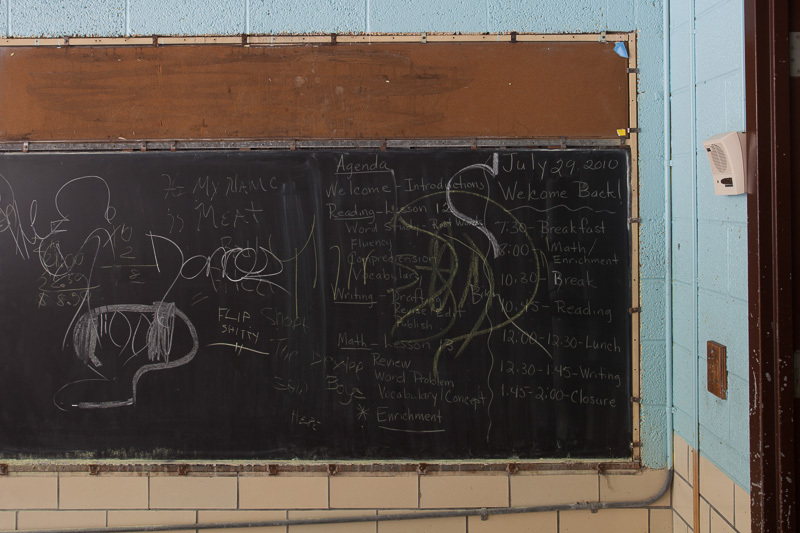 Just 250 were enrolled at the start of the school year, compared to nearly 600 in 1999. 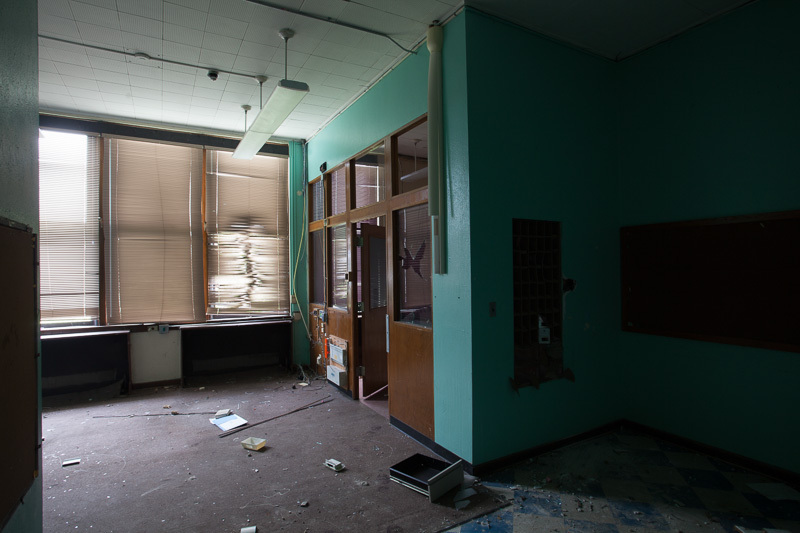 Scrappers stripped the building through the summer of 2013.